After the revolution, Jose finished his law degree and was admitted to the Philippine Bar on May 6, 1901 and set up a law office in Capiz. He then married Socorro Barrios Laserna, daughter of Juan Laserna and Soledad Barrios in 1903. He started his political career by running as councilor of Capiz (now Roxas City) and was elected during the first municipal elections in 1903. He then became a member of the Capiz provincial board and delegate to the First Philippine Assembly from 1902 to 1909, representing the 2nd Congressional District of Capiz. 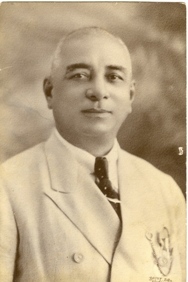 Jose Altavas was later elected governor of Capiz for two terms, 1907 to 1916. Jose was then elected the first Senator of the 7th Senatorial District, which consisted of the provinces of Capiz and Iloilo (and the province of Romblon was added after it was created as a separate province from Capiz in 1917). He was one of two senators were representing the district. Elected with Jose Altavas in 1916 were Senator Francisco Villanueva and Jose Ma. Arroyo in 1919. Jose Altavas was known as the builder of roads and bridges in Capiz. He introduced many government projects in Capiz, along with several bridges and highways that connected Aklan to Capiz. As Governor of Capiz, he introduced many development projects in the province, like the Provincial Capitol building constructed in 1911, the Panitan bridge, the construction of provincial highways from Capiz to Aklan and from Capiz to Iloilo. It was during his term as governor when the Panay Railways was constructed. It was completed on August 28, 1910. The railway was 117 kilometers with 19 permanent and 10 flag stations and connected the towns of La Paz, Jaro, Pavia, Sta. Barbara, Lucena, Pototan, Dingle, Dueñas and Passi in Iloilo and Dumarao, Dao, Panitan, Cuartero and Loctugan in Capiz. The passenger operations ceased in 1985 as well as the freight operations in 1989. Senator Jose Altavas was called as the “Man who made Roxas”. He launched the political career of Manuel Acuna Roxas, a 27 year young lawyer by running for Governor of Capiz in 1919 against Conrado Barrios, a prominent lawyer whom he defeated. In the 1922 elections, Altavas carving the political destiny of Roxas, convinced him not to run for reelection but instead seek election for the 1st Congressional District of Capiz. Roxas was mentored by Altavas in the practice of law, when the former came to Capiz to bury his grandfather, Eleuterio Acuna 1917 and insisted that Roxas to stay in Capiz to practice law and join politics. Manuel Acuna Roxas, then became President of the Republic in April 23, 1946. Jose Altavas was also a member of the “goodwill” Legislative Delegation to the Japanese Empire in 1917. He was elected Delegate, from the first district of Capiz, to the Constitutional Convention in 1934 and was one of its most outstanding members; he was chairman of the Committee of Suffrage, and a member of other important committees. Senate President Manuel Luis Quezon was a close ally of Jose Altavas in the Partido Nacionalista Consolidado. Jose was offered a cabinet/important post by Quezon which he declined after he was defeated in his reelection bid to represent the 7th Senatorial District in the June 6, 1922 election against the political giants of Iloilo, the Montinola and Laguda clan backed Partido Democrata candidate then Capiz Gov. Jose Miraflores Hontiveros. Hontiveros would later become Justice of the Supreme Court. Altavas and Hontiveros would nevertheless become allies in the 1931 election when the Partido Nacionalista Consolidado joined forces with Partido Democrata to be called “Union Nacionalista-Guerra Patriotica” against Partido Nacionalista Democrata Pro-Independiencia of the Roxas, Belo and Villareal triumvirate. Senator Altavas died on August 21, 1952 in Roxas City, Capiz. His death did not erase his greatness, there is a town named after him. On November 13, 1917, American Governor General Francis Burton Harrison issued Executive Order No. 88 creating the Municipality of Altavas, the 32nd town of Capiz. The town of Altavas, formerly the town of Jimeno, was officially inaugurated on December 1, 1917. The official birth date of the town of Altavas is January 1, 1918. Jose Cortes Altavas was not only a builder of provinces and towns. He was a builder of the leaders of Panay.